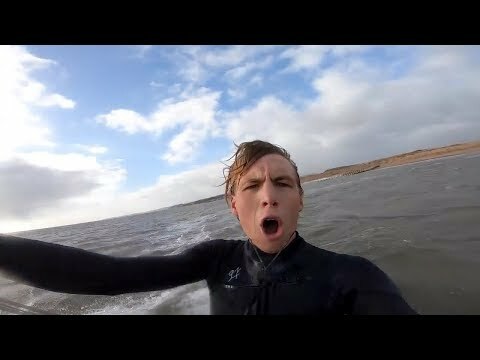 The 21-year-old professional kitesurfer performed a 650-foot (200 meters) leap from a tidal pool located in the estuary of River Exe into the ocean. Bridge believes it's the first time anyone has attempted it. And he only needed around eight or nine seconds to complete the aerial move. The young rider was able to avoid the local sand dune and seawall before landing smoothly and safely on the cold English waters. The British kitesurfer has been planning the dangerous stunt for months. Bridge studied the local geography and winds and waited for ideal weather conditions to try the jump. Olly's solo mission was caught on tape by his waterproof camera. He says he concluded the stunt with two down loops. Olly Bridge has three European titles under his belt, and five combined world titles in the Under 21 and Under 18 divisions. He is also a top foil kiteboarder and prominent air specialist.